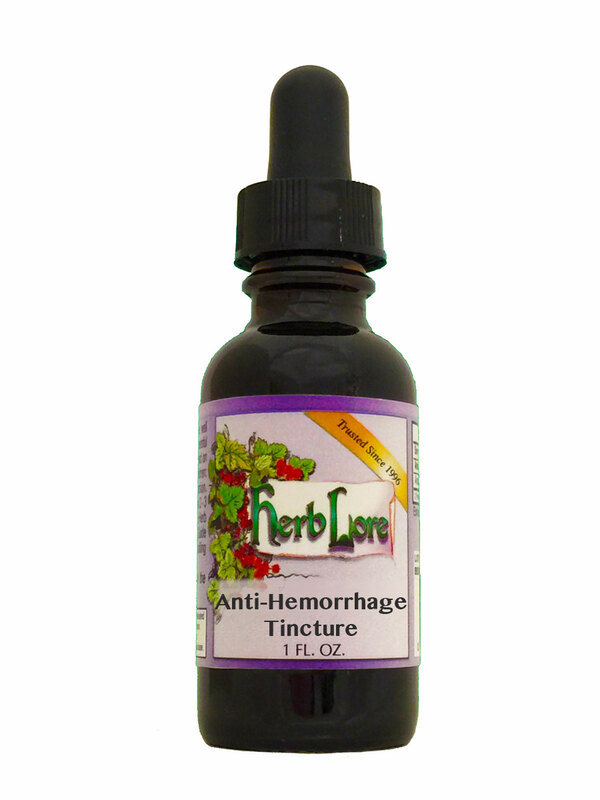 Herb Lore's Anti-Hemorrhage Tincture is used to help staunch bleeding after a birth. It is best used immediately after the birth, and as long as the bleeding continues. The Blue Cohosh is an oxytocic herb, helping the uterus to contract and clamp down. Yarrow is a powerful styptic. Motherwort is well-known for being a reliable hemorrhage preventor and uterine tonic, and the Alfalfa is very high in Vitamin K, helping to coagulate blood. NOTE: Use only at birth. This product is not for use during pregnancy.